Crystals – Elegant Swarovski crystals on individual lashes will definitely add some shine into your life. These magical gems will open on your eyes and attract more attention to your lash extension. Sold & Silver beads – Bold beautiful beads, whether it be gold or silver these are individual lashes that will make a bold statement to your lashes extension. Glitter – Individual glitter lashes to glam and sparkle up your eyelash extension. 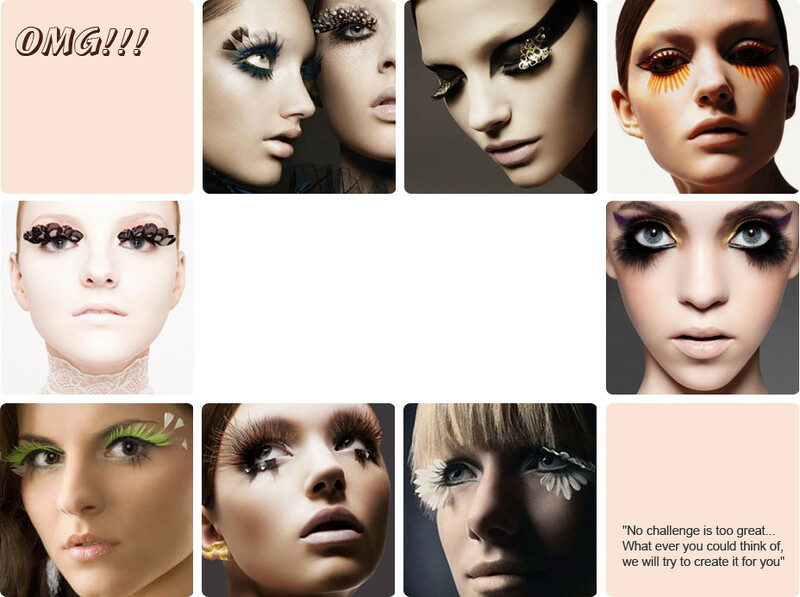 Colour Lashes – Feeling ravishingly red or peppy purple? 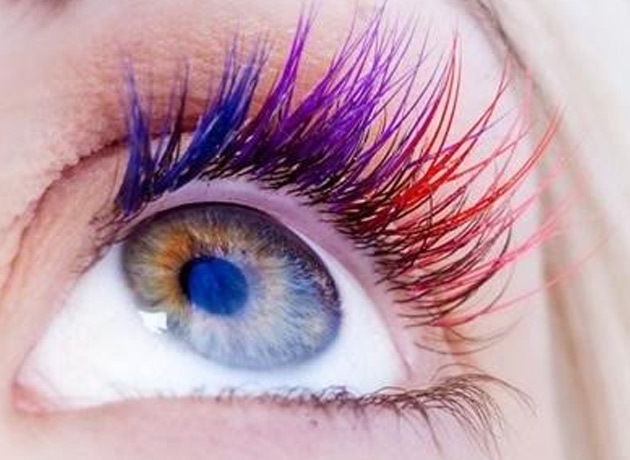 Colours of the Rainbow, whatever colour you would like to have with your eyelashes extension, we have every colour! 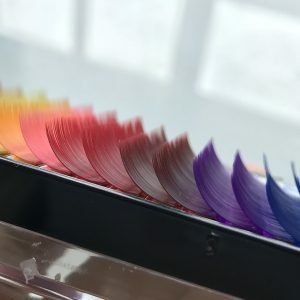 Feathers – These feather flutters come in dozens of different designs, colours, lengths and styles. Perfect for a night out where you want to make a big statement at the clubs, a dress up party or to look magnificent at your birthday party. We say why not be dramatic and faboulous for one night. Paper Lashes – Intricately cut and delicately pretty, these paper false lashes are a new kind of eyelash wear. Paper lashes come in different designs and each are infused with a symbolic meaning in the Chinese culture. Designs can carry butterflies, peacocks, peach blossoms and even ponies and birds. They have been worn by Rihanna, and more recently, they can be seen worn on actress Jennifer Lawrence in the final scenes of The Hunger Game. Visit us in store at Holy Lashes and you’ll find many more that are so pretty you’d want to wear them everywhere!